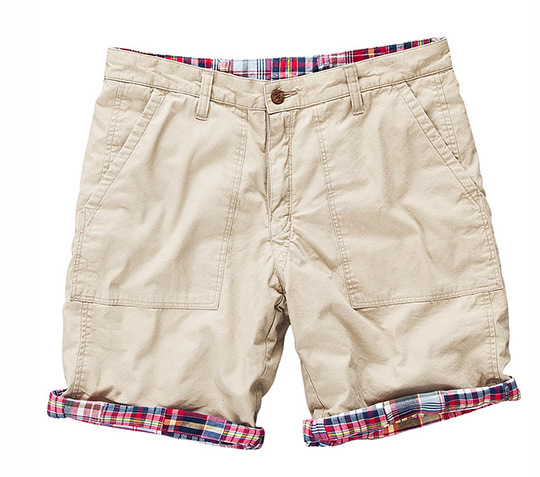 Get two pairs of distinct Summer shorts for the price of one in these reversible khaki and madras shorts from Dockers. Part of their Spring/Summer 2012 line, the shorts have a classic D3 fit that sits at the waist and has a roomier fit than the slimmer shorts. But I prefer a more comfortable fit during the Summer anyways and I absolutely love the madras peaking through when the shorts are rolled up.